Are you thinking about visiting Florida’s Gulf Coast but you can’t decide where to stay? 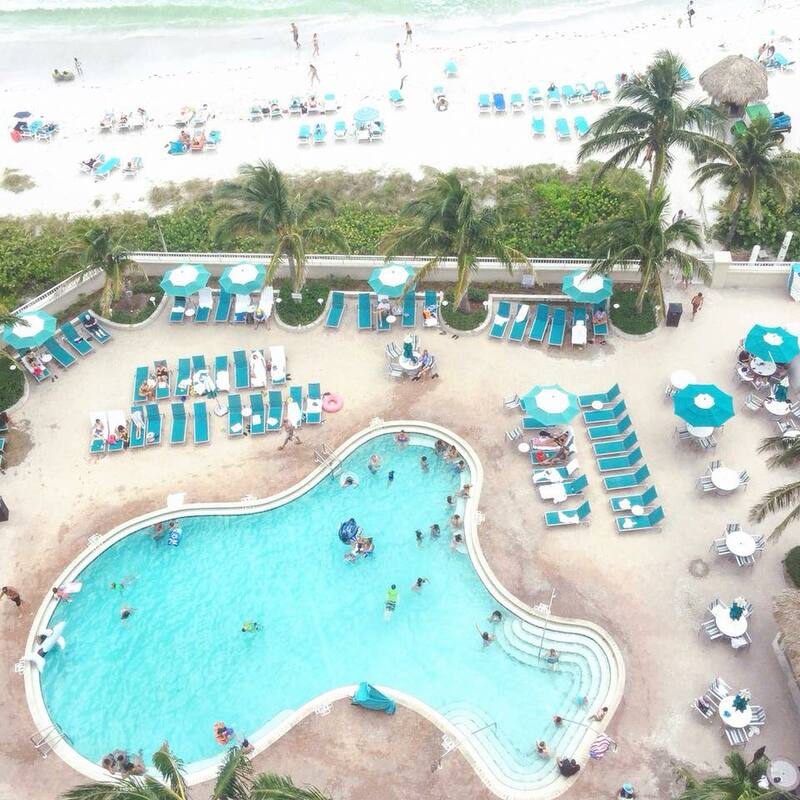 Lido Beach Resort should be on the top of your list, especially if you love dramatic views, the largest stretch of private beach on Sarasota’s Lido Key, two heated pools, and warm, welcoming service. Not sold yet? 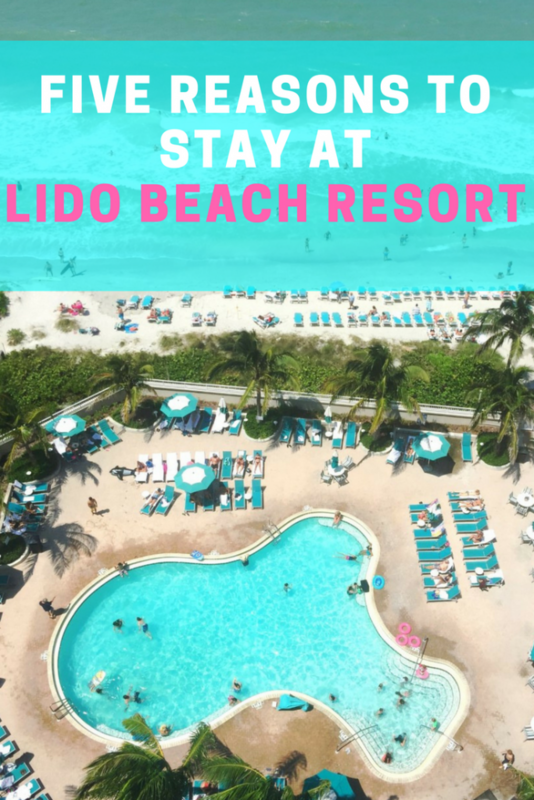 Here are five reasons why you should stay at Lido Beach Resort. 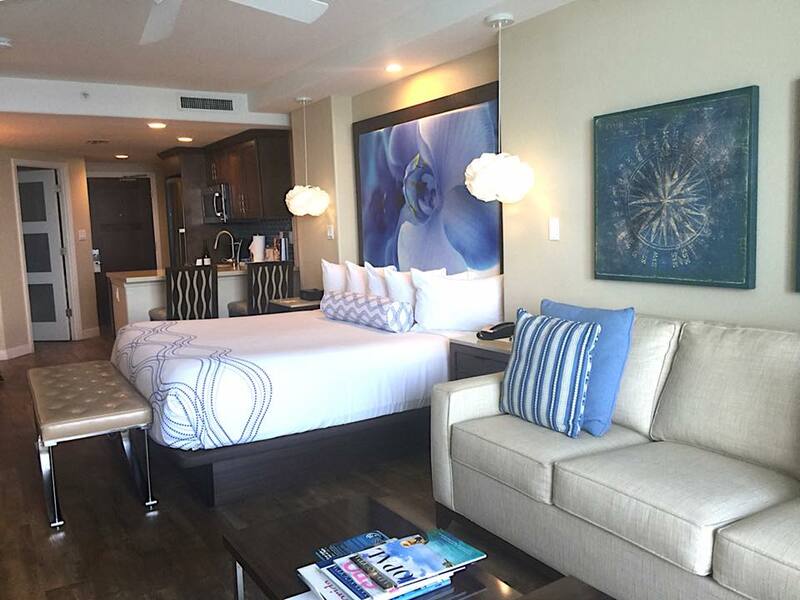 The recently-renovated rooms at the Lido Beach Resort are absolutely stunning. The resort offers two buildings with 222 spacious guest rooms and condo-style suites, many with panoramic beach views. Deluxe guest rooms and suites include a kitchenette with full refrigerator and cooktop and balconies. My room included Florida-inspired décor, a king bed, a flat screen television, sofa and coffee table, dining room table, and bathroom with a large shower. The balcony was my favorite part of the room. I left the balcony door open the entire stay. Listening to and watching the waves was heavenly. The breathtaking views left me in awe every time I went outside. Also, as a bonus because the rooms were recently-renovated, there are plenty of charging stations for your phone and electronics. If you like to sleep with your phone next to the bed like I do, you can charge it on the nightstand in one of the many ports. The beach is definitely one of the biggest reasons to stay at Lido Beach Resort. 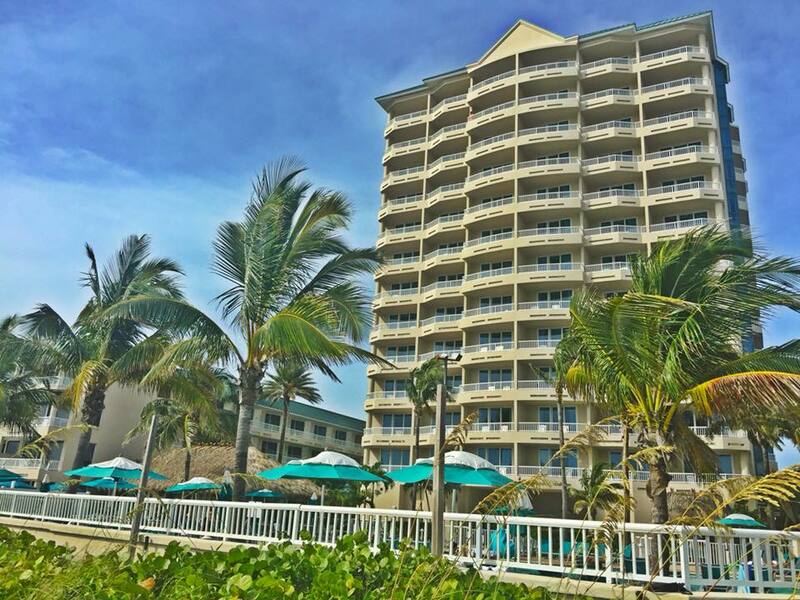 The resort is located on a large stretch of private beach on Sarasota’s Lido Key and guests can take advantage of towel service and beach chairs. The beach wasn’t overly crowded and I always found a beach chair for myself. It’s a great place to relax and read a book or body surf in the waves. There’s a section for surfers as well. For another stunning beach destination in Florida, check out Family-Friendly Luxury at The Breakers Palm Beach. The resort also offers two beachfront pools. One pool is designated for families while the other reserved just for adults over the age of 18. There are also three hot tubs in the pool area and towels are provided for all resort guests. With the Tiki Bar located directly between the pools, there are always drinks and food on hand. If you’d like to dine on-site, there are several options available. The casual Poolside Tiki Bar is located between the two pools and right by the beach. Their Lobster Roll is a must-try and Happy Hour is two hours long with specials including ½ price premium well drinks, beer, and house wine, served daily from 4 to 6pm. It’s casual atmosphere and friendly staff make it the perfect place to meet new friends and mingle over tropical drinks. For gorgeous views of both the city and the beach, the Lido Beach Grill, located on the 8th floor, offers dinner starting at 5 pm. 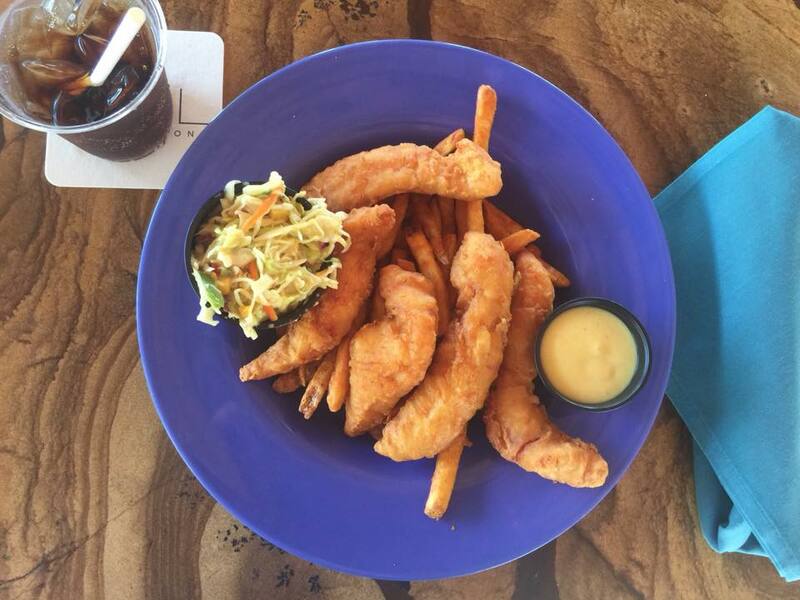 The menu consists of delicious Gulf Coast cuisine with a Caribbean flare and an emphasis on fresh seafood. It’s a casual, intimate atmosphere with uniquely local items such as Tuna Poke or Macadamia Nut Encrusted Grouper. Cafe Lido, located off the lobby, is more casual and offers breakfast, lunch, and dinner. Their delectable selection of fresh, casual fare is served both indoors and on their scenic outdoor patio. If you prefer to dine in-room, Lido Beach Resorts offers room service as well. Everything about Lido Beach Resort is laid-back, casual, and relaxed. The staff are welcoming with plenty of hands on site to make sure you have everything you need. All restaurants provide casual dining with unique options. There’s a tranquil garden area featuring waterfalls and a reflecting pond and you can find a ping pong table just around the corner. There’s easy shuttle service to and from the shops, restaurants, and boutiques at St. Armand’s Circle. All you have to do is call. 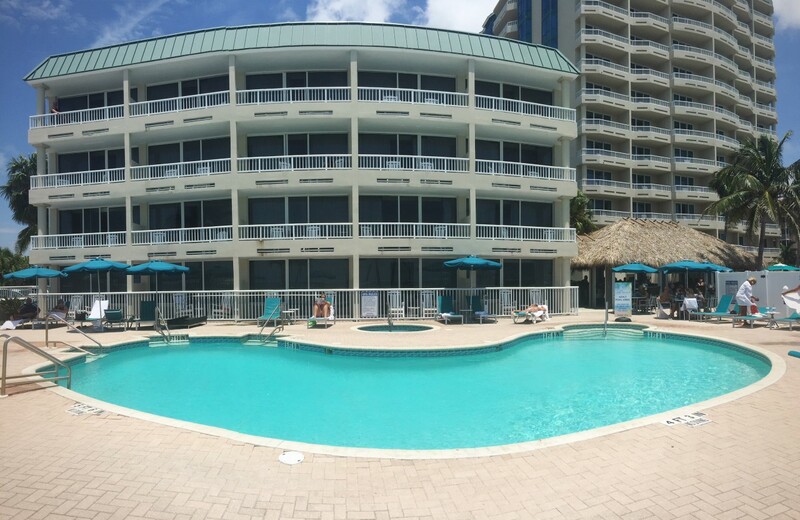 Everything is at your fingertips at Lido Beach Resort. 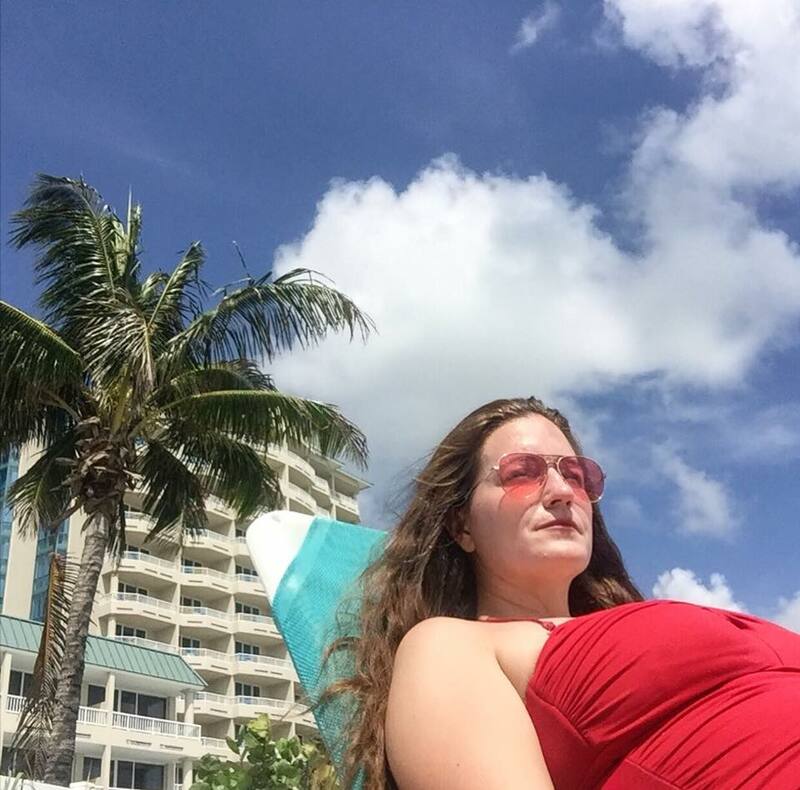 Lido Beach Resort makes it easy to enjoy the relaxed culture, unique beauty, and endless activities of Florida’s Gulf Coast. Take in the picturesque views from their 300-foot white sand beach, enjoy a refreshing swim on one of the two pools, and indulge in delicious food in a relaxed atmosphere. This is paradise.